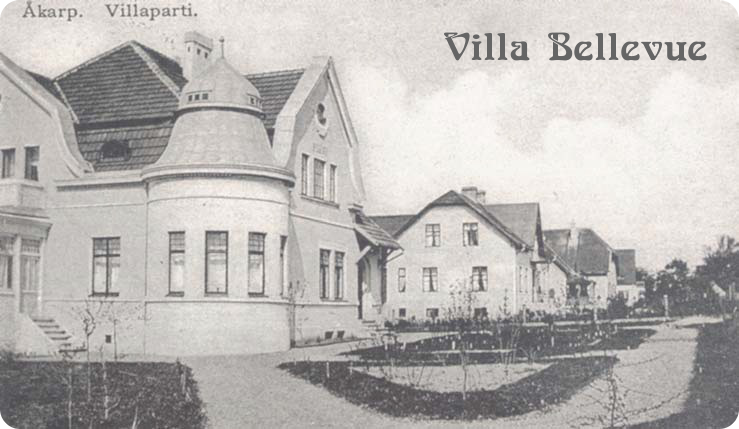 Villa Bellevue: A facade painted with acrylic paint? 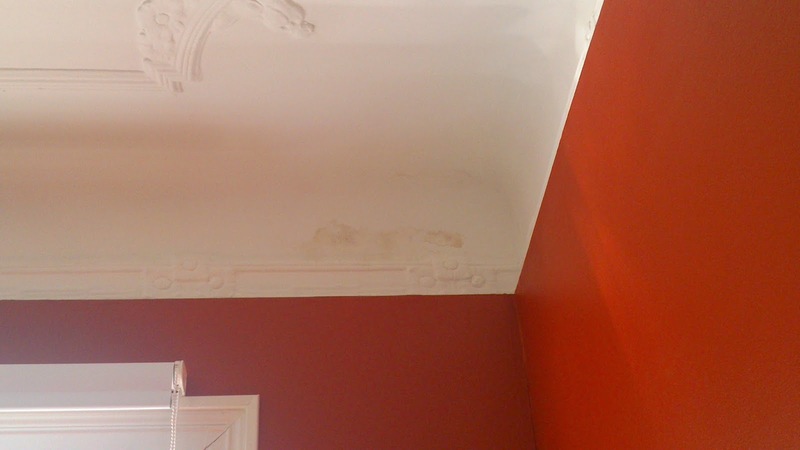 During December, we had sadly noted a humidity stain appearing in a corner of our "red room". We got of course worried since this could mean tons of things are going wrong. The stain hasn't increased in size (luckily) over the past months, so we thought it would be connected to the heavy rain that occurred during the autumn storms. In my opinion, this doesn't look that good and could be the cause of getting water and humidity up in that room. However, we haven't investigated how it looks really in the room just over the "red room" for several reasons. First, there is an heavy wardrobe there and second, just behind that wardrobe there is some "empty" space between two walls, which is not accessible. This is just under the roof and used for isolation and as wardrobes in other rooms. We have also been noticing humidity in the garret floor, but not under the old wet (and probably partially rotten beams) but just nearby the outdoor walls. 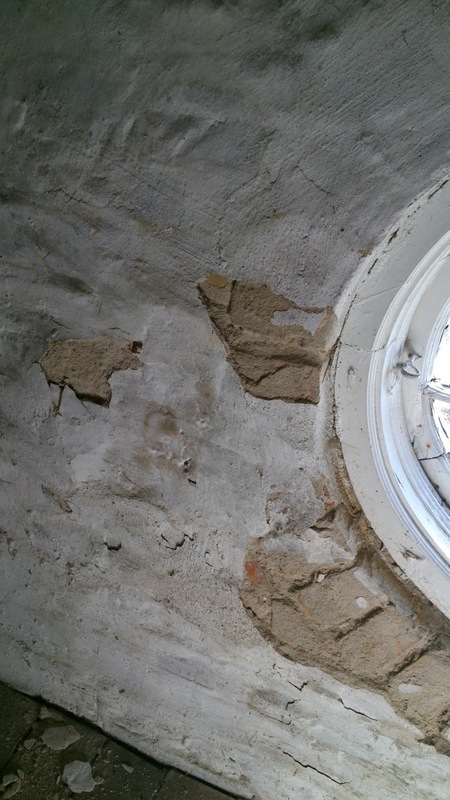 It is very odd that the lime mortar is coming off. Yes, of course it is old, but that doesn't mean it should look bubbly and wet. 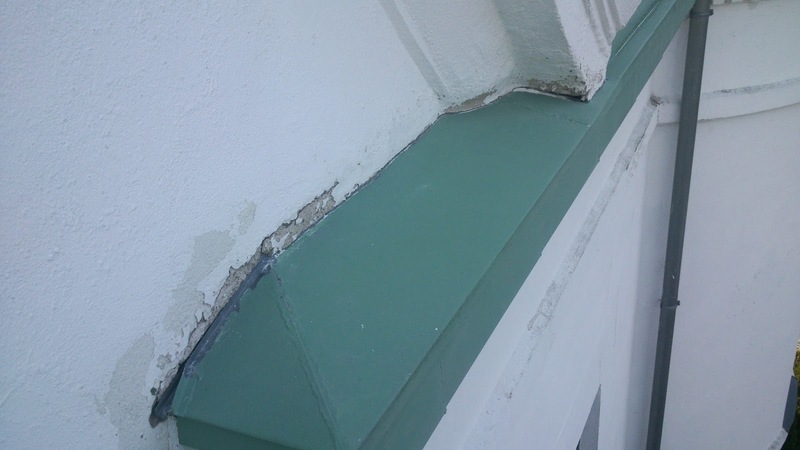 Out of concerned, we have contacted a contractor to look around and as soon as he came in, just by touching the outdoor walls, he stated that everything is painted with acrylic paint. We have still to get a second opinion, but if this is the case, this is going to hit us heavily. Also, what is quite annoying is that it seems our predecessor did repaint the outdoor walls in 2009, so why not doing a proper job? Acrylic paint is sadly not optimal since it doesn't let the walls "breath" with the result that the water that comes in, doesn't go out, creating humidity problems. Why it is still used (it was surely popular in the 70s), I have no idea, but it seems still a valid option in the shops, despite the "fame". Well, we first need to get another point of view over the matter, but for the moment I'd like to use some ethanol and check that the paint is coming off. If that is the case, we have most likely the wrong paint on the house. 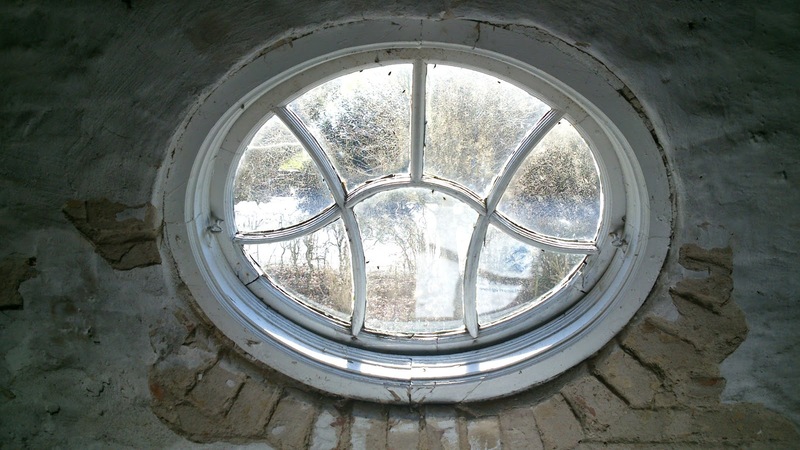 But if that is the case, we might need to blast out the paint, possibly causing damage to the plaster and then we have to see if that needs repairing and if that is just lime based or cement mixed.